For the first time in quite a while, the people in Puchong got back their blue skies and white clouds and blazing sun. Tomorrow the haze may return, but today we in Puchong fill our lungs with God-given fresh air! Alhamdulillah. And thanks to the Malay Rulers, the haze over the 1MDB probe has been lifted with the Attorney-General issuing a statement that basically says the investigations by PDRM and MACC on 1MDB or matters related to 1MDB are on-going whereas Bank Negara, the other agency involved, has completed its investigation and based on the findings of the central bank, the AG Chamber has found no wrong-doing at 1MDB. The Conference of Rulers would have been informed of the AG's response to its pre-Council statement issued two days ago and will, I have no doubt, take note of the latest developement with regards to 1MDB as they conclude their two-day meeting today. With reference to the statement issued by the Keeper of the Rulers’ Seal on behalf of the Malay Rulers on 7 October 2015 and prior adverse or negative statements and comments against the Attorney General’s Chambers (AGC) on the delay in the completion of the investigation related to 1MDB and a decision thereon, the AGC wish to state the following. The Task Force on investigations into 1MDB has never been dissolved or disbanded and the AGC has never made any statement to that effect. In fact the investigations conducted by the respective agencies were never at any time halted or hindered. The Attorney General has been constantly monitoring and giving instructions to the relevant agencies whenever the investigations were referred to the AGC, including instructions to expedite investigations. As of today the Royal Malaysia Police (RMP) and the Malaysian Anti-Corruption Commission (MACC) have not completed their investigations as some key witnesses’ statements have yet to be recorded. As for the Central Bank of Malaysia (CBM), the investigation was conducted into 1MDB for an offence under paragraph (4)(b) of Part 1 of the Fifth Schedule to the Exchange Control Act 1953 namely, knowingly or recklessly making a statement which is false in a material particular. The investigation paper (IP) was submitted to the AGC on 21 August 2015. Having studied the IP, the Deputy Solicitor General 1, Datuk Tun Abd Majid bin Tun Hamzah, decided that there was no offence committed by the 1MDB officials and directed that no further action should be taken. The IP was returned to CBM on 11 September 2015. Hence the decision had been communicated to CBM on the same day. However, on 1 October 2015 CBM transmitted a letter of request to AGC to have the decision reviewed. Having considered the request and the fact that there was no new evidence made available, the Attorney General decided to maintain the decision made earlier. In this respect, the AGC would like to state that what had been in the news between 12 September 2015 until today concerning the IP still being with AGC and that discussions were ongoing, is inaccurate and not true. Congrats AG Apandi for a job well done. You have executed your job as precisely that was expected from you. That is why you have been selected for this job. a) Why would BNM ask for a REVIEW of the NFA decision by the AGC? Basically, BNM found wrongdoing in their report, saw it being swept under the carpet, asked the AGC: "why are you sweeping it under the carpet? ", and then got the second complaint swept under the carpet as well. You think Zeti has gone mad? I don't think so. b) You think this was for fun? Neither person has been found, or came forward. They are ON THE RUN. Why? The New York Times has revealed that its journalists have tracked down one of the key witnesses hunted by Malaysia’s Bank Negara to assist in their own investigation into 1MDB’s missing billions. The New York Times have now tracked down Jasmine to a swanky apartment right under their noses in East 22nd Street, purchased in 2014 for an impressive $4.5 million. So, PDRM has tried (and failed) twice to get Interpol to arrest Clare Rewcastle, but these two have never been sought by police, even though BANK NEGARA MALAYSIA, A GOMEN BODY, is looking for them??? You think Zeti has gone mad, or is the AGC 24-hour replacement up to no good? The only way is to get Zeti to testify in an RCI. The Rulers must direct one to be set up. PS: Local cover-up means nothing. The fact that FINMA and the MAS have frozen accounts, that the FBI and DOJ are on it, and that every major big hitter in the world media has carried the reports - WSJ, FT, Forbes, CNBC, NYT, BBC, you name it - means that all the carpets in the world cannot cover the stink. Nothing bad can be in the news Datuk. Bad news now come under SOSMA only. KeBAB now has nothing else to do but carriers of bad news in dtention under SOSMA. Not bad, even without the ISA! "The 1MDB Task Force was never dismantled". "KUALA LUMPUR, Aug 5 — The special taskforce that was probing the state-owned firm 1Malaysia Development Berhad (1MDB) is no longer needed, the Malaysian Anti-Corruption Commission (MACC) said today. The commission said this was communicated to it by Tan Sri Mohamed Apandi Ali, the government’s newly-appointed Attorney-General, prior to the press statement it sent on Monday on the RM2.6 billion in Prime Minister Datuk Seri Najib Razak’s accounts. It explained that the statement, which confirmed that the funds had come from donors and not 1MDB as previously suspected, was issued without the endorsement of the taskforce’s other members — the Royal Malaysian Police and Bank Negara Malaysia — on Mohamed Apandi’s advice. “On questions why MACC issued a press statement on August 3, 2015 without the involvement of the Royal Malaysia Police and Bank Negara Malaysia, (we) wish to explain that MACC made the announcement without going through the Special Taskforce after being advised by the Attorney-General of Malaysia, that there is no longer a need for the Special Taskforce." So, a hurried "it was a donation!" statement rushed out in order to bypass BNM and PRDM, on the pretext that there is no longer a need for the Special Taskforce. A child can see what is going on here. Do we want to be treated like children? Why is the whole country suffering so that one man can cling selfishly to power? Siapa mahu percaya sama ini AG ? Public would like to hear some comment made by ex AG - Gani Patail about this case. "In fact, added the statement, the investigations conducted by the respective agencies were never at any time halted or hindered." Except the the PREVIOUS A-G was sacked in 24 hours without even knowing about it and barred from entering his office. Ask MACC if they were hindered, too. Asia’s best debater Syed Saddiq Syed Abdul Rahman today slammed Prime Minister Najib Abdul Razak as a “national disgrace”. In a Facebook post today, the Universiti Islam Antarabangsa (UIA) student asked how much more could Malaysians take in light of lawyer Matthias Chang’s arrest today under the Security Offences (Special Measures) Act (Sosma). “I guess you really do not care about the trust-deficit which you're facing or the prospects of Malaysia sinking together with you. “In the end, it's all about you and not about Malaysia. That's a national disgrace. You are a national disgrace,” he said. The 23-year-old further questioned how Najib could resolve the trust-deficit when he was plagued with various issues. 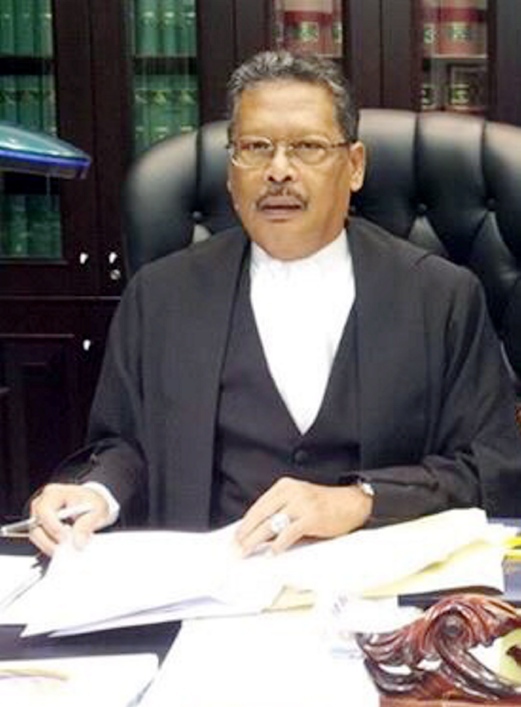 “You expelled your vocal colleagues (former deputy prime minister Muhyiddin Yassin and former minister Shafie Apdal), you derailed the Public Accounts Committee (PAC), you arbitrarily dismissed the attorney-general (Abdul Gani Patail). You interfered in MACC affairs through continuous intimidation. “You suppressed news portals which unravelled the scandal, you quashed dissenters through a law intended for terrorists, you haven't sued foreign newspapers which you claimed that you would, the list continues…” he pointed out. How come you skip the Ekor and suddenly talk about the Kepala? How come you skip the Majlis Raja2's Statement and suddenly talk about the AG's office Statement? Jika ada kepala cherita, tentunya ada ekor cheritanya. Ya, sudah tentunya siasatan2 oleh SPRM, PAC masih akan berjalan sungguh pun ramai saksi2 utama menghilangkan diri. Sudah pasti AG baru yang merupakan bekas calon Umno yang tewas pada PRU13 lalu (adakah saya silap orang?) telah 2 kali menolak "lapuran dan appropriate action" yang disyorkan oleh Bank Negara. Tetapi, sampai bila hendak sembunyikan kebenaran, melengahkan siasatan dan menyorokkan saksi2? Honestly, jika saya di pihak Najib, sequence of events seperti hanyalah "insulting the intelligence of the people. Orang kita ni teruk Rocky. Their target is Najib. Dah sah AG and Zeti kata Najib tak bersalah. Still they won't believe it. Still menyalak menuduh Najib. All they want to hear is Najib will be jailed. Dah setahun cakap Najib nak kena tangkap. Najib pergi NYCpun cakap Najib akan ditangkap. Pochik.Hahaha. Now cakap pulak Najib will be thrown out during the special motion in Parliament. Dream on. We are now no longer objective. Like we are on a personal vendetta against Najib. Tsk tsk. AG ke AGC bro? the byline at the end is Attorney General Chambers of Malaysia. memang berbaloi najib tukar peguam negara baru.. Anything that supports Ah Jib looks that Bro will highlight it. How much donation he get? "And thanks to the Malay Rulers, the haze over the 1MDB probe has been lifted with the Attorney-General issuing a statement that basically says the investigations by PDRM and MACC on 1MDB or matters related to 1MDB are on-going whereas Bank Negara, the other agency involved, has completed its investigation and based on the findings of the central bank, the AG Chamber has found no wrong-doing at 1MDB"
Honestly, you as your ownself percaya ke there are no wrong-doing. For the record, a few PAC guys naik pangkat jadi Timbalan Menteri, Former AG yg kata dia taklah sakit sangat telah dipecat kerana dikatakan dia sakit. SB & Timbalan SB pun kena pindah & banyak lagi pekara yg mencurigakan berlaku. Be 'Rocy Bru' yg we all know off seperti dulu. May Allah bless you. Dah lama follow blog ni. Dulu kalau kena kutuk teruk-teruk pun Rocky jawab selamba dan sempoi. Tapi sekarang ni...terserlah kemarahannya. Darah tinggi ke? Statement on 1MDB The Attorney General’s decision with respect to the investigations on 1Malaysia Development Berhad (1MDB) relates to Bank Negara Malaysia’s recommendation to initiate criminal prosecution against 1MDB for breaches under the Exchange Control Act 1953 (ECA). It is to be noted that under the Federal Constitution, the decision to initiate criminal prosecution lies solely with the Attorney General.